For the people traveling abroad, the passport is one of the most important documents to have in one’s bags. The demand for passport has been increased over the last few years. 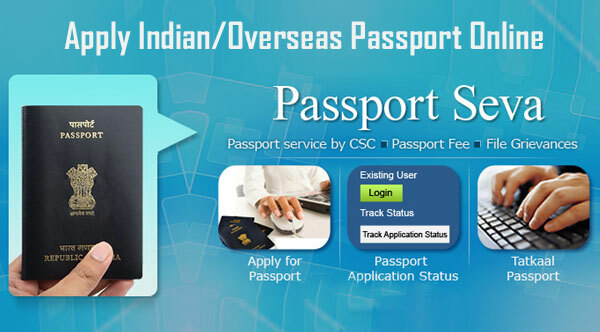 Passport is also used as a valid identity proof in India and all around the globe. The process to apply for a passport in Assam is just the same as other parts of the country. Just follow the process mentioned below to apply easily. Visit the Passport Seva Portal first by clicking the link https://portal2.passportindia.gov.in/. If you are new to the website, you have to register first. After completing the registration, log in the website using your id and password. Now click on the option ‘Apply for Fresh Passport or Reissue of Passport’. The application form will open on your screen. Enter all appropriate details in the form and click on the submit button. After submission, you will find another link “Pay and Schedule Appointment”. Click on it to complete the payment and book an appointment. The payment can be done using net banking, credit or debit card. After payment, choose an appropriate date and book an appointment at your nearest Passport Seva Kendra. Take a print out of the application receipt. On the date of appointment, Visit the Passport Seva Kendra with the application receipt and all original documents. After submission of the documents, different types of verification will be done along with the police verification. If all goes well, your passport will be issued and sent to you via post. The delivery time may differ due to postal service issues. Visit your nearest Passport Seva Kendra and get an application form. Visit the Passport Seva Kendra with the filled up application form. You can pay the application fee online or you can pay it as demand draft. After the submission of the form, you have to face different levels of verifications. Police verification is one of them. If all found good, your passport will be issued to you sent via post. The required documents for passport application can be checked by following the link https://portal1.passportindia.gov.in/AppOnlineProject/docAdvisor/attachmentAdvFresh.